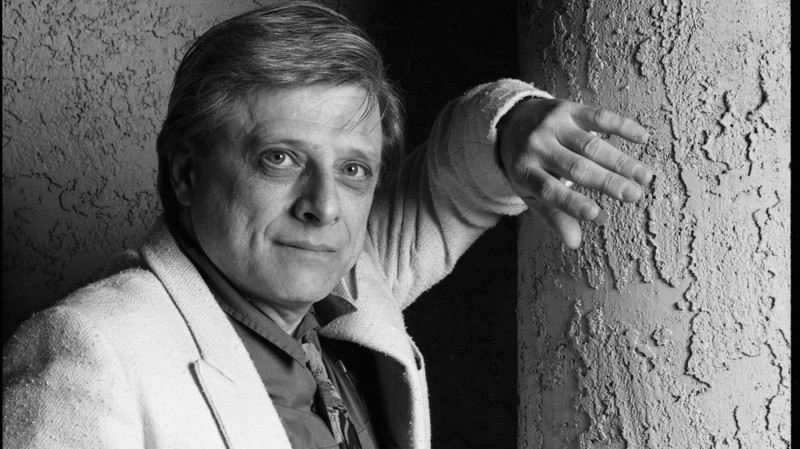 Harlan Ellison, Award-Winning Science Fiction Writer, Dies at 84 The writer of award-winning stories, as well as episodes of Star Trek, The Outer Limits and The Twilight Zone, died Thursday. Writer Harlan Ellison, seen here in 1991, died Thursday at 84. Science fiction writer and provocateur Harlan Ellison, who wrote stories including "Jeffty Is Five," "'Repent, Harlequin!' Said the Ticktockman," and "I Have No Mouth and I Must Scream," died in his sleep at home in Los Angeles at age 84. Like many who write short stories and novellas in genres like speculative fiction, the sweep of his career is evident in his collection of awards: Hugo Awards, Nebula Awards, Edgar Awards and many others. He wrote episodes of Star Trek ("The City on the Edge of Forever" won him a Writer's Guild of America Award), as well as The Outer Limits and The Twilight Zone. He wrote comics and read audiobooks. He fronts Weariness [a story in the collection] by telling the tale of running a workshop at a convention in Washington. A bunch of art pieces handed around as inspiration. A bunch of writers given one hour to compose a complete story. And then there's Harlan, at the front of the room, with his portable Olympia typewriter, poking away at 120 words per minute (with two fingers and no typos, he brags), feeling sad and tired and coming up with a story about the heat death of the universe which begins: "Very near the final thaw of the universe, the last of them left behind, the last three of the most perfect beings who had ever existed, stood waiting for the transitional moment. The neap tide of all time." One draft. No idea where he was going with it. Just start hitting the keys and seeing what happens next. That's how Ellison rolls. Tired, old, ornery — and yet kind, too. Generous. Giving us stories, and then stories about the stories. The lettuce story? Inspired by a Chinese dinner with Norman Spinrad in 1956, sold to Amazing Stories that same year for $49.50, then remastered for this collection. Weariness is just a few hundred words long but his afterword is a kind of love letter to Ray Bradbury, and runs for five times the story's length, maybe more. And it is beautiful. Ellison, who won so many awards, wrote a column in Variety in 2013 about the Oscars in which he said, "I do not merely hate all awards shows, I wish to see them beheaded, stakes driven through their black and corrupted widdle hearts, and to see the decapitated remains buried at a crossroads come midnight."